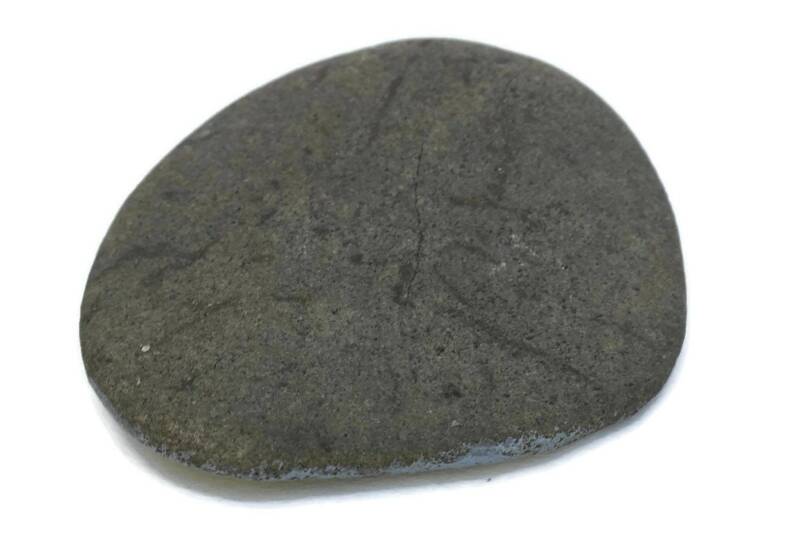 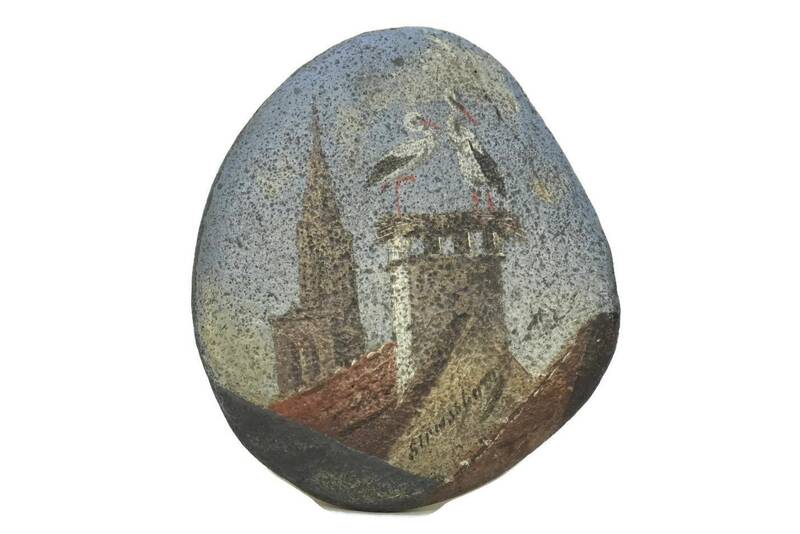 Antique Miniature Painted Souvenir Stone Pebble. 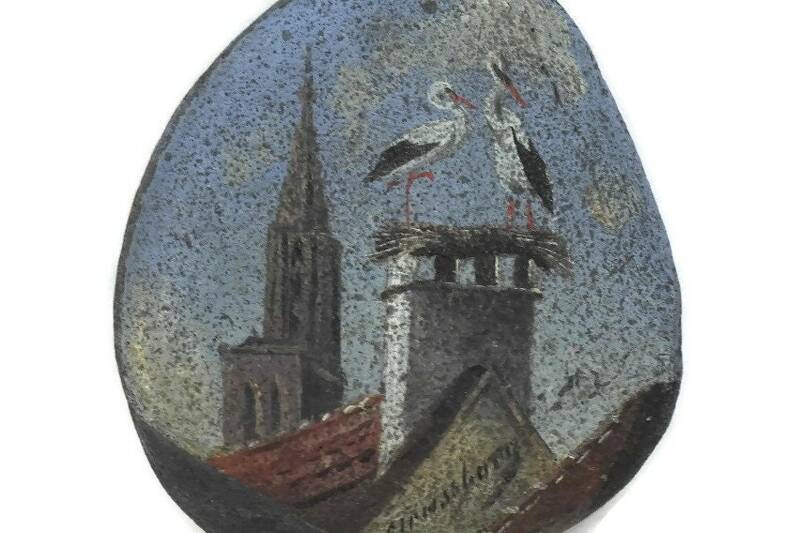 A charming antique miniature souvenir painting from the French town of Strasbourg. 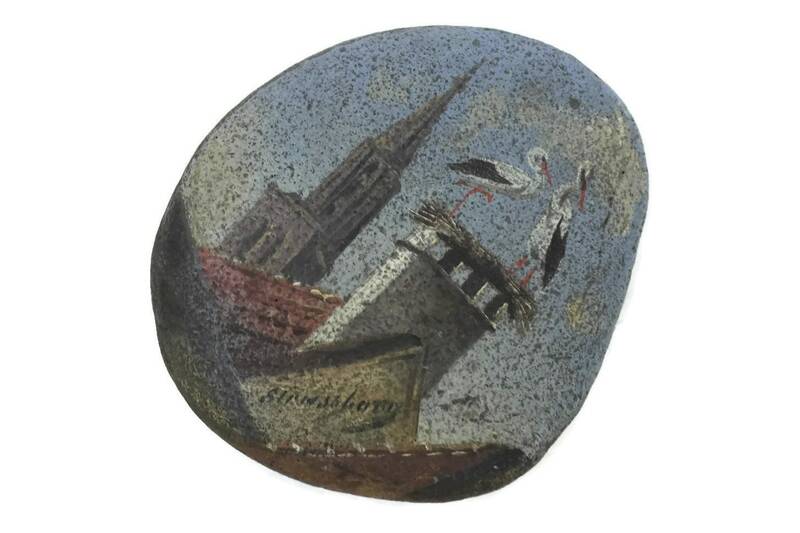 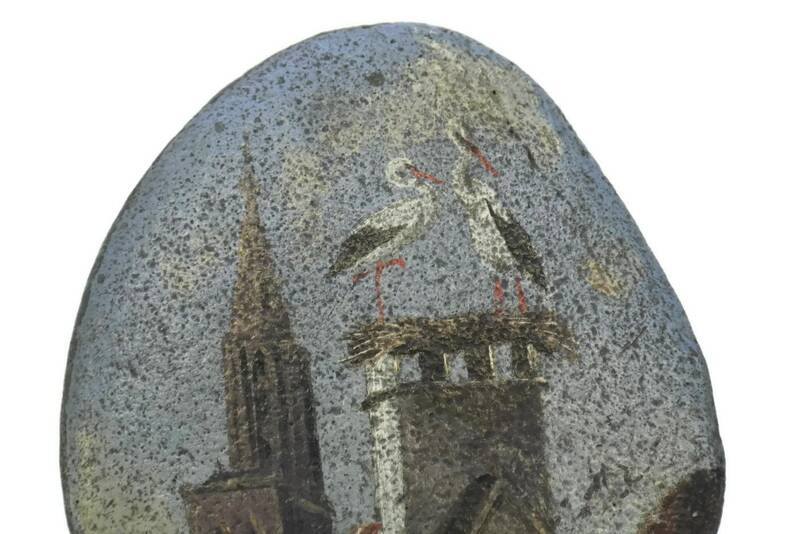 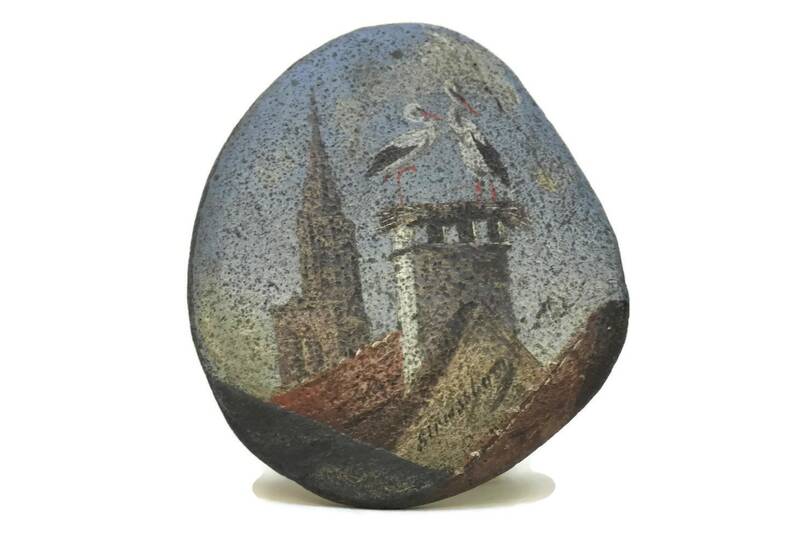 The scene of storks on a chimney with a church steeple in the background has been hand painted in oil paint on a flat pebble. 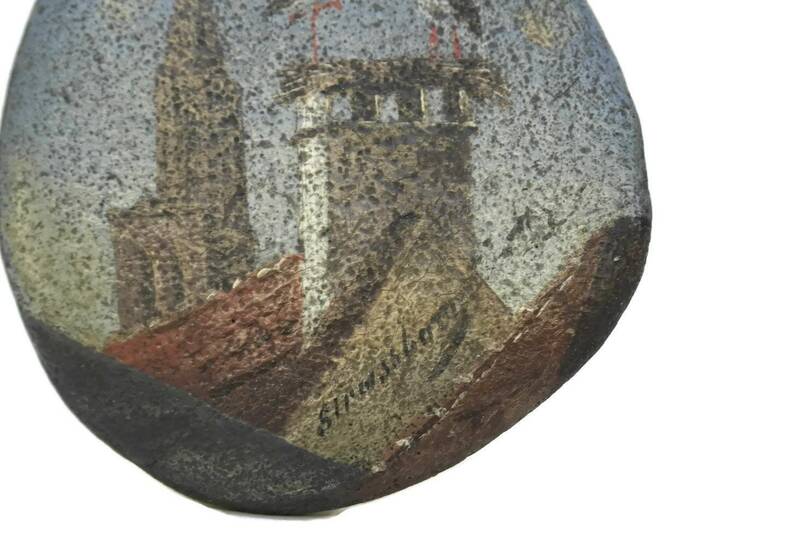 The bottom has been painted with the name Strasbourg. 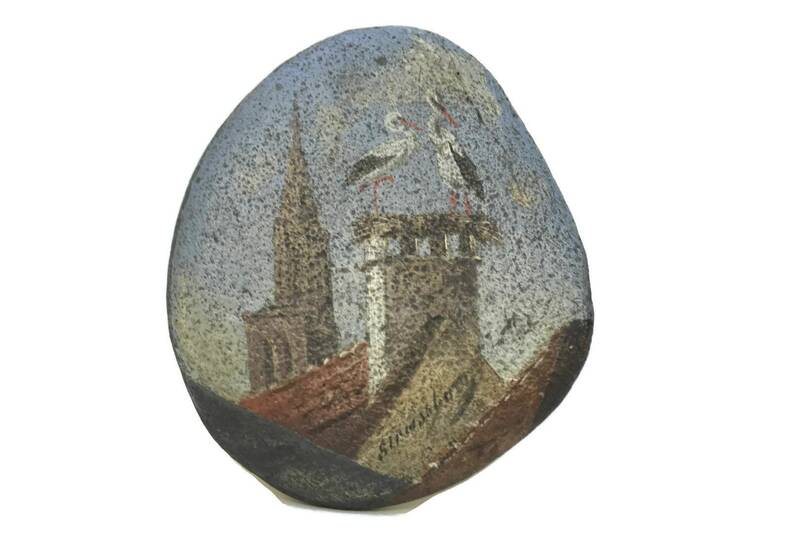 3" Tall x 2.75" Wide. 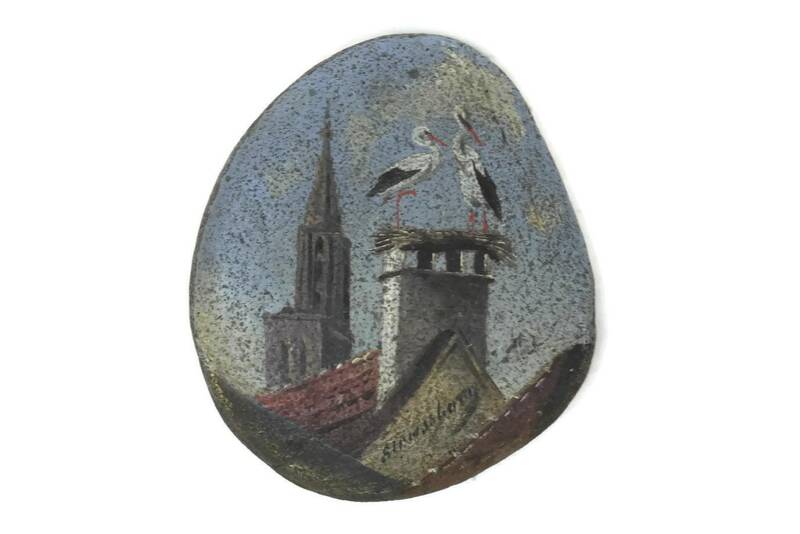 (8 cm x 7 cm). 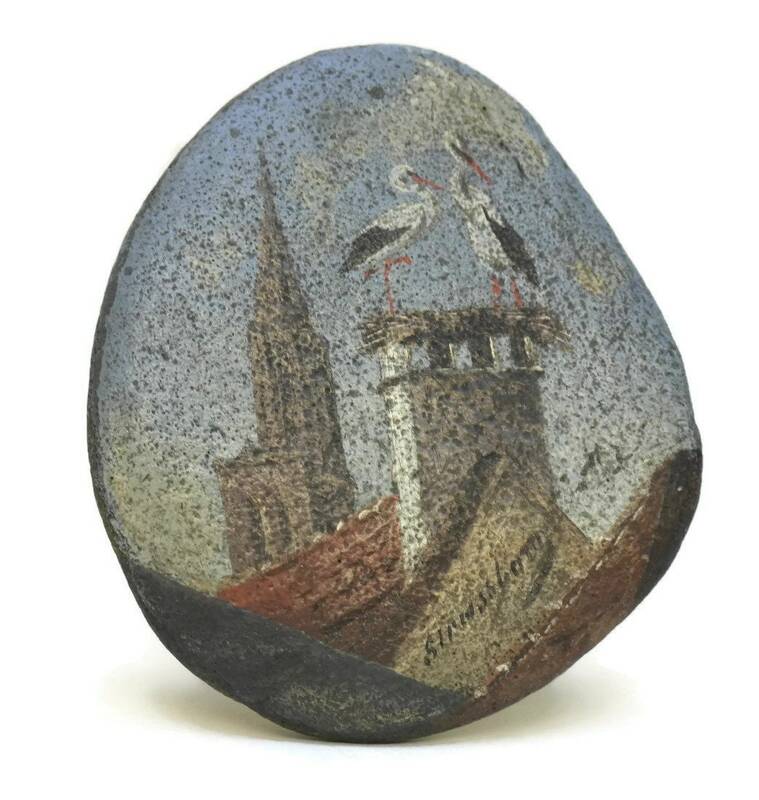 The souvenir painted stone is in very good condition with some light signs of wear including surface marks and scratches.